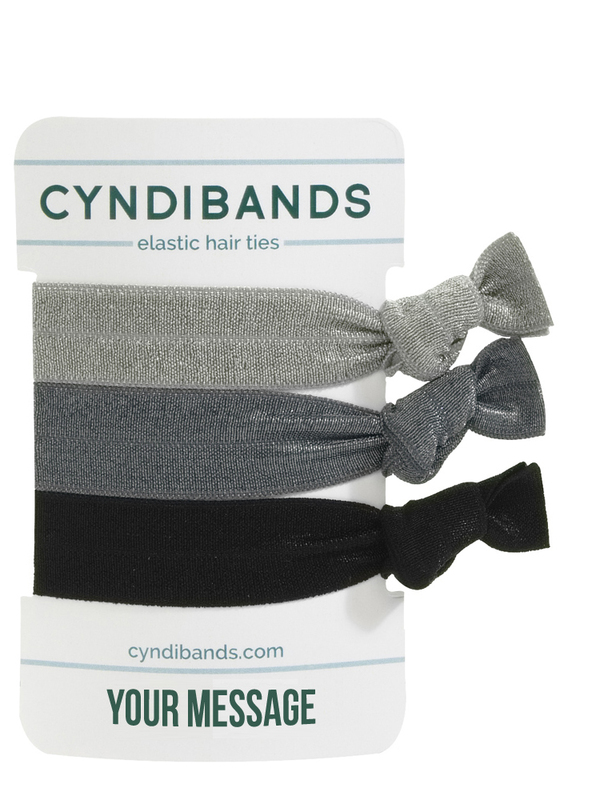 Put your name or message on our personalized 3 packs of CyndiBands hair ties. (If you want more than 19 characters then email us, we can accommodate.) Each pack comes with 3 solid color plain hair ties. Please note that the hair ties will not have any printing on them. You can select the 3 colors or opt for assorted hair ties. These sets will ship within 1 week. Contact us if you would like pricing on larger quantities. 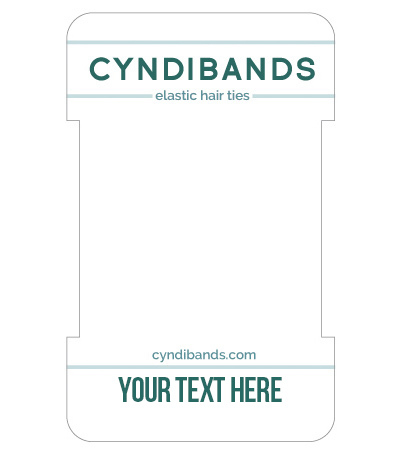 The text will be printed on the card and not on the hair ties.